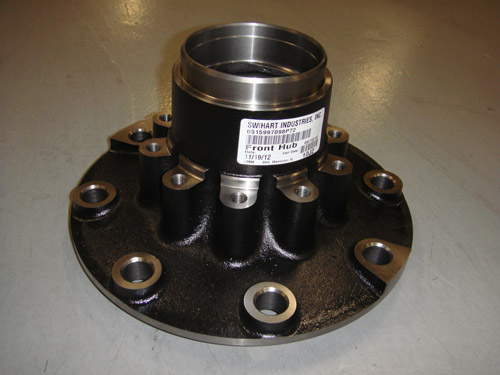 Swihart Industries, Inc., is both ISO 9001:2015 and TS 16949:2009 certified, and has been providing the commercial, industrial, military, material handling, and performance vehicle industries with automotive CNC machining services for over 30 years. 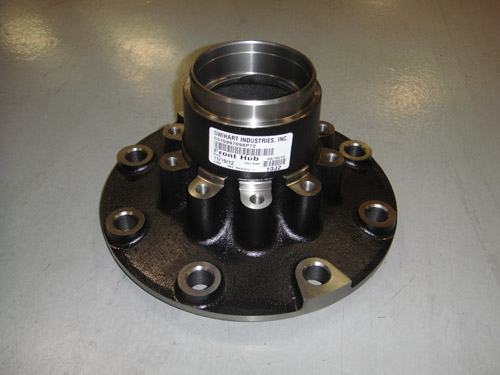 We produce 10,000-20,000 of these wheel hubs per month, in varying configurations, for our long-time customer in the heavy truck industry. 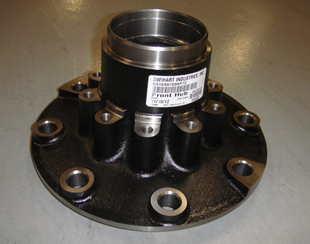 These black hubs are used in hub-piloted wheel systems on heavy trucks, and can be found in most heavy trucks on the road today. 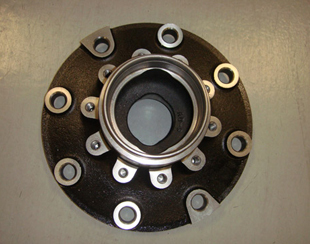 We sourced the material for the customer, and machined the hubs on our advanced CNC turning lathes and milling centers. Our shop floor is set up with a cellular structure that allows us to accommodate everything from high volume projects like this one, to small volume specialty components. In addition to machining, we offer our value added bar coding service for parts we produce, simplifying customers' inventory management systems. 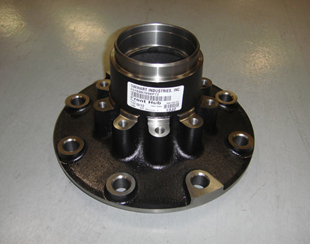 We maintain inventory on the raw materials and finished components for this customer to ensure there is always an adequate amount of inventory available for release. We are in constant communication with our customers about their business and ways we can improve our services to better fit their needs. For more information about this custom automotive CNC machining project, see the table below, or contact us directly. 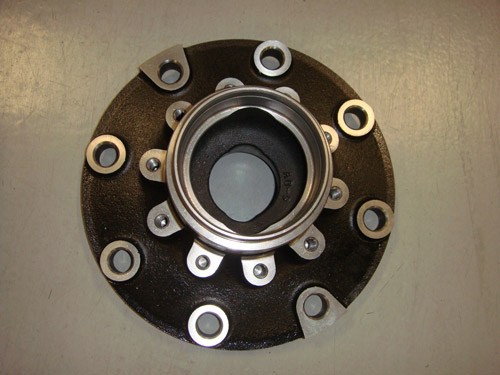 These wheel hubs are used in a Hub-Piloted Wheel System on heavy trucks.